← Fun Interview this Morning! A couple of weeks ago, I had a revelation as to one of the things missing in my life! Something I enjoyed so much, but somehow lost contact with. That thing being Hiking. In upcoming post I will talk some about that, but for now Let’s start with one of my recent trips out! 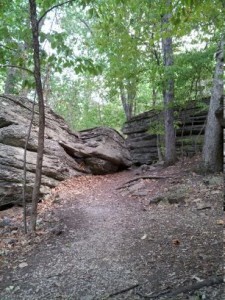 Burr Oak is Located in Blue Springs, Missouri just a short drive from our house. The path I set out on was a combination of the Hickory Grove & Bethany Falls Trails. 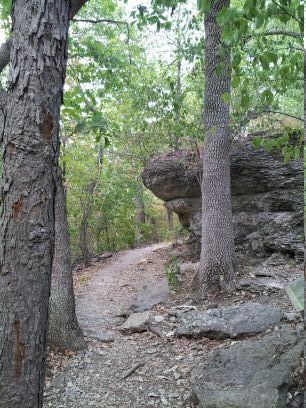 The Trail is indicated above by the blue line. 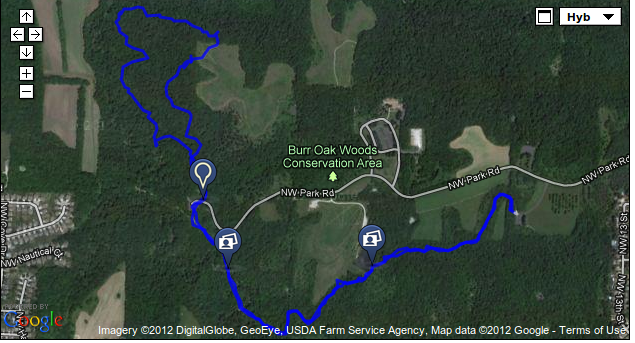 The GPS mapping of the Hike was done with the Backpacker GPS Trails Lite App For Android phones. The Lite version is free and available from the Google Play Store. More Information concerning the mapped hike can be found HERE or by clicking the map above!